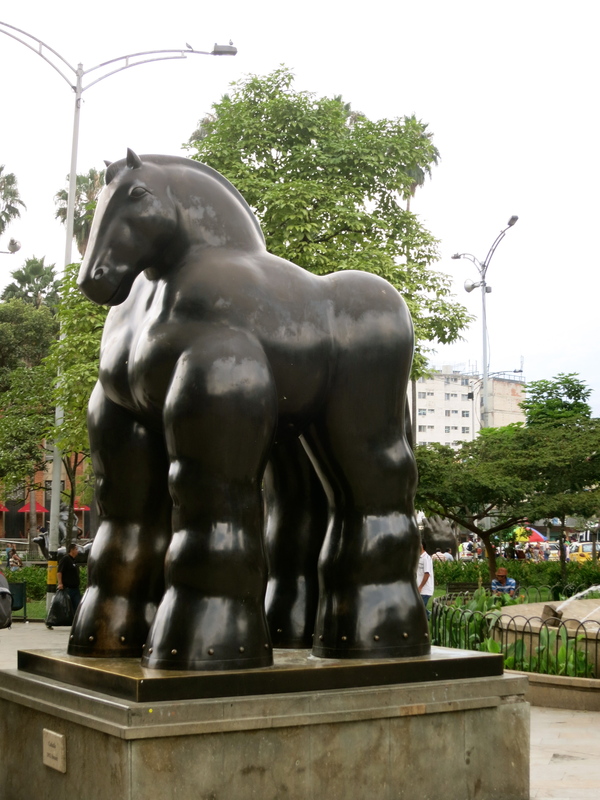 I went to Medellin looking for a good time, and boy did I find it. After arriving at The Pit Stop around 7pm grumpy and tired, I was quickly pulled into the hostel party scene by a friendly yet inebriated Aussie. A week and a half into my trip, and I’d not really done much drinking yet and was ready to shake off the long bus ride. A 3am turn in left people calling me a weakling, but I just couldn’t keep my eyes open anymore. The next day I did a little sightseeing in Medellin with a few Danish guys and my new American roommates, which I actually enjoyed being around. After meeting several Americans on this trip I understand why most of the world dislikes our country. Nearly every American I’ve met has been rude, domineering, and extremely cocky. I’ll take the crazy Aussies over rude Americans any day! Because I’ve been traveling alone I think many people just think I’m Colombian and I rarely get stares. Usually people on the bus will begin speaking to me in Spanish not thinking twice until I say “despacio por favor” (more slowly) that they give me a strange look and ask where I’m from. Not until I was walking around Medellin with two blonde Danish guys did I get a dose of that. At one point on the Metro nearly everyone in our car was watching us, like we were the first gringos they’ve seen. Night two brought more shenanigans in Zona Rosa, the popular area filled with nightclubs near our hostel. Medellin really likes to party and I just couldn’t keep up so I went home exhausted and half sober at 5am. 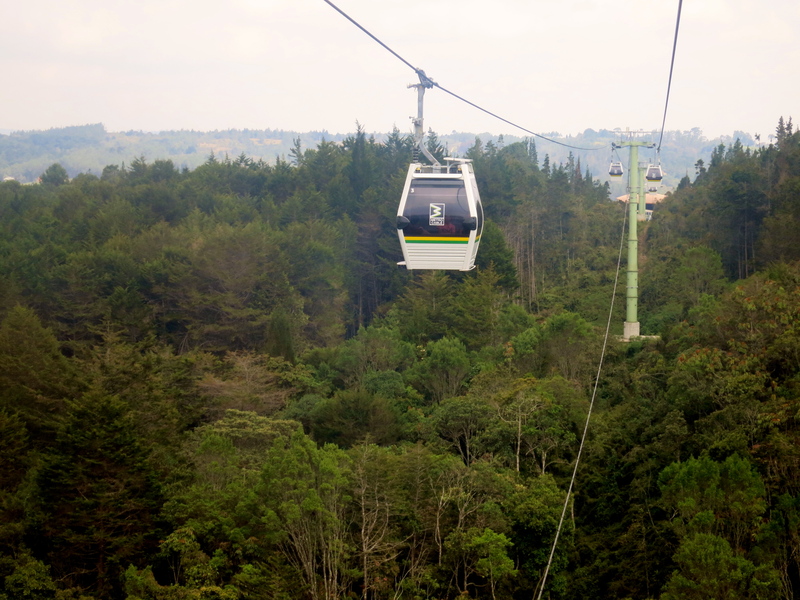 After eating some eggs for breakfast and drinking the tap water that was “safe to drink” (everyone else in the hostel was drinking), I headed out with a few people from the hostel to ride the Cable Cars over the slums of Medellin to Parque Arví. The next ~14 hours weren’t pretty and were spent curled in a fetus position shivering from a fever in a ~74 degree room. Getting sick in a 6 person dormitory while electronic music is rattling the windows is definitely not ideal but there was no way I could possibly find the strength to even move, yet alone change rooms or hostels. 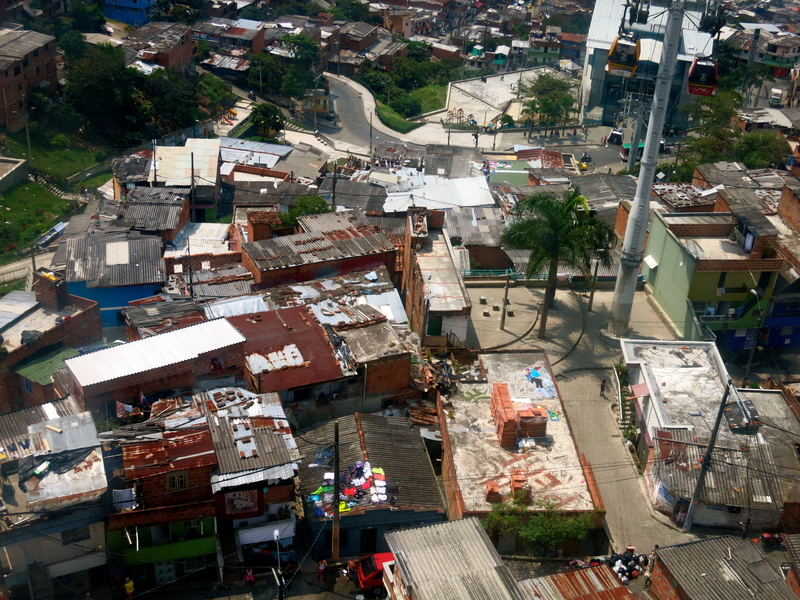 You win Medellin, I’m heading off to the lakes of Guatapè for a few nights of recovery!